Paint the town blue as you adorn this Vivacious Blue Designer Long Tunic for Fashionable Women from the house of Snehal Creation. This long tunic is an amalgam of various fabrics both printed and plain. 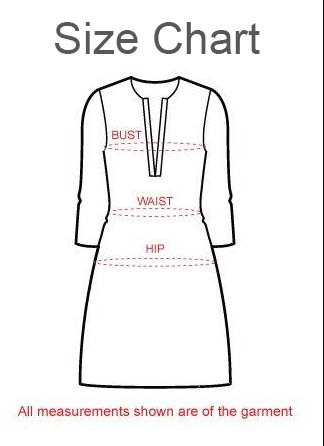 A white fabric with blue print design forms the centre panel of the tunic body and is used for making sleeves. Contrast plain blue fabric looks great on either side of the centre panel. The yolk of the tunic has blue pintex design and printed maroon patches. The ban collared tunic has taping on sleeves in red and blue colour that provides fantastic finishing.